You should never visit Malta without exploring Gozo island for at least one day, no matter what transport you choose: bike, bus or rent-a-car. Places to visit in Gozo are the villages of Xlendi, Marsalforn and the capital Victoria (don’t miss its Citadel). Other nice travels to make are the Azure Window, Calypso Cave, Ta’ Pinu Basilica, several windmills, Ggantija Temples and some magnificent beaches. To visit the second biggest island in Malta in one day, you first need to go from Valletta (or wherever you’re staying) to the Gozo ferry boat port in Cirkewwa, Malta. The ferry will take you to the Mgarr Harbour. From there you can choose different ways to visit Gozo. 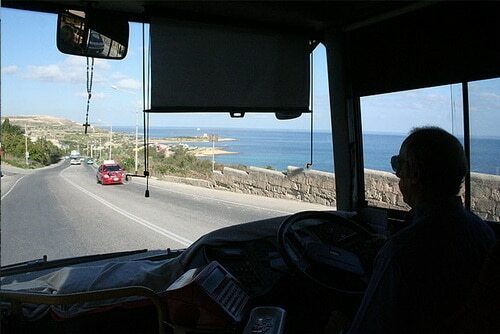 The Gozo Sightseeing Tour is an excellent way to visit the island because you get to know the island in 2h30m or you can take your time visiting the places you like and then get in the next bus, since the €15 tickets (€9 children 5-15) are valid for the whole day. Headphones are included; museums in Gozo are not. Some buses have open tops and some are wheelchair friendly. Renting a car in Malta gives flexibility to travel in the main island but also take your rented car to the Ferry Boat to Gozo and cross the beautiful blue waters. Take a Malta Travel Guide with a map and explore Gozo your way. And why not follow the route suggested by the Hop on Hop off bus? Public local transport by bus is the cheapest way to visit Gozo but it would be impossible to visit all the places mentioned above in one single day because of the restricted timetable, which is worsened by delays in departures. Most buses in Gozo make a circular route to visit many villages but it’s a good idea to check if the bus you choose returns to Victoria (Rabat, in Maltese) Bus Terminus, in Main Gate Street. 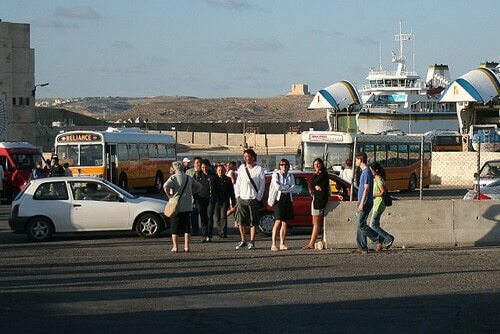 The grey Gozo buses are identified by the number they carry on the front and cost per trip does not exceed € 0.50.